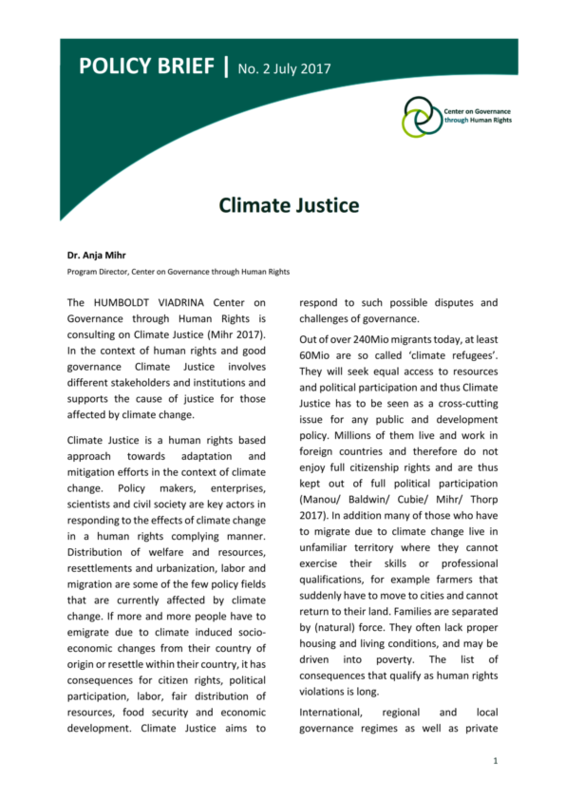 Climate Justice is a human rights based approach towards adaptation and mitigation efforts in the context of climate change. In the context of human rights and good governance Climate Justice involves different stakeholders and institutions and supports the cause of justice for those affected by climate change. The HUMBOLDT VIADRINA Center on Governance through Human Rights is consulting on Climate Justice.